The first one thousand days of a child’s life—from conception till age two—are very crucial in terms of nutrition and also for the mother. 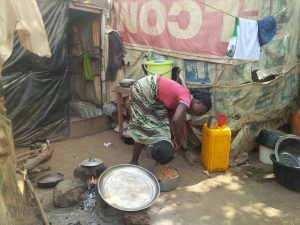 With the Boko Haram insurgency in North East Nigeria forcing many to flee and now settle in IDP (Internally Displaced People) camps across the country, this report takes a look at the nutrition challenges amongst internally displaced children in some IDP camps in Nigeria’s Federal Capital Territory (FCT). Hauwau Gana, born prematurely on October 7, 2016 lost her mother, Hadiza, to delivery complications. 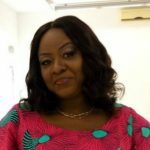 For two weeks she was in an incubator at the National Hospital, Abuja until she was released to her father, Baba, who signed an undertaking to pay up her medical bill within a given period. From the onset keeping up with her dietary requirements was a problem: he had three other children and made a meager income working as a commercial motorcycle operator in Masaka, one of Abuja’s unofficial IDP camps. Hauwau died on March 5 due to ill health, probably accelerated by complications from malnutrition. Her death was a rude shock for her father still mourning his wife. 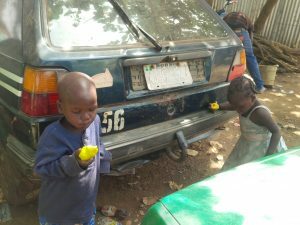 The situation is not very different for the first one thousand days in the lives of other children in Abuja’s IDP camps, as was revealed during a visit to the New Kuchigoro IDP camp. 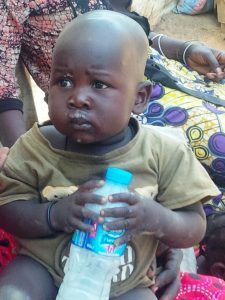 A sight that immediately hits the eyes upon entering the camp is of children eating unripe cashew or hugging branded bottles of water which now carry kunu (gruel made from guinea corn). They sip on this or their mothers are seen feeding it to them. Ramatu Ayuba, 23, from Gwoza, Borno State, gave birth to her son on October 8th, 2016. Unlike her two previous pregnancies, where she nursed her children exclusively on breast milk, she said she’s not producing enough, “That is why I give him kunu. I don’t know why the milk doesn’t flow. Back in my village, breastfeeding was one of the things we were encouraged about during antenatal, but not here.” Ramatu knows nothing about maternal or infant health. Her son has never been ill and has received BCG inoculation and polio immunization. To enhance her milk flow, the housewife said, “In the morning I ate kunu, I am making some beans and pasta for lunch and will have rice for dinner. When I drink tea, I put some milk in it. Then my milk flows a little and I feed my son. He hasn’t yet started eating solid foods; I mostly feed him kunu.” Ramatu said that her son would have some kunu again for dinner and didn’t have problems with bowel movement. Most of Nigeria’s official and identified unofficial IDP camps are found in states like Borno, Adamawa, Yobe, Taraba, Edo and the FCT among others where measures are being taken to curb malnutrition. But apparently they are insufficient. IDP data collected by NGOs and UNICEF-supported teams in Yobe and Borno states, say the proportion of children with global acute malnutrition [as identified by mid-upper arm circumference (MUAC) and/or oedema] is over 80%. These initial assessments provide an indication of increasing levels of acute malnutrition. 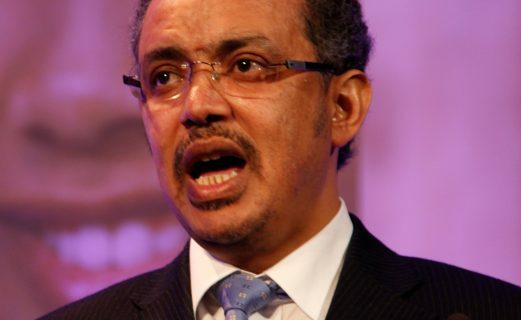 The United Nations Office on the Coordination of Humanitarian Affairs (OCHA) estimates 300,000 children in Borno State alone will suffer from severe acute malnutrition over the next 12 months and up to 450,000 in total across Adamawa, Borno and Yobe, if adequate assistance is not received. According to UNICEF, the 2017 nutrition requirement for IDPs is $40, 217 105. In 2016 it said 97,777 children under 5 years received micronutrient supplementation. Omotola said, “When a woman realizes she’s pregnant, the first thing is to go to the clinic, register for antenatal services and from there her health will be managed including the regular pills for blood because in pregnancy she needs to feed for herself and for the baby inside her. She must take what we refer to as adequate diet. She must take at least three meals and encourage herself to eat.” He described the components of an adequate diet as having animal source which is what a lot of people call protein, beans, cereals, maize, rice, millet, sorghum roots and tubers like yams, cassava, coco yam, plantain, vegetables, fruits and oils. Malnutrition is a plague bedeviling children across Nigeria and the situation is twice as bad with internally displaced children. The cause of children suffering stunted growth has in several cases been traced to poor nutrition in their first 1, 000 days of life. “It is irreversible and associated with impaired cognitive ability and reduced school and work performance,” UNICEF says. It is a crisis that needs immediate and clear-cut government and international intervention. Not just in Nigeria, by the way, as headlines of the past months sadly point out. With insurgency ravaging countries across the world, the humanitarian crisis is deepening by the day, provoking ripples of problems, with malnutrition and famine being on the forefront. Earlier this week, UNHCR, the UN Refugee Agency, warned that the risk of mass deaths from starvation among populations in the Horn of Africa, Yemen and Nigeria is growing. Let’s hope help doesn’t come too late for all these people in dire need.